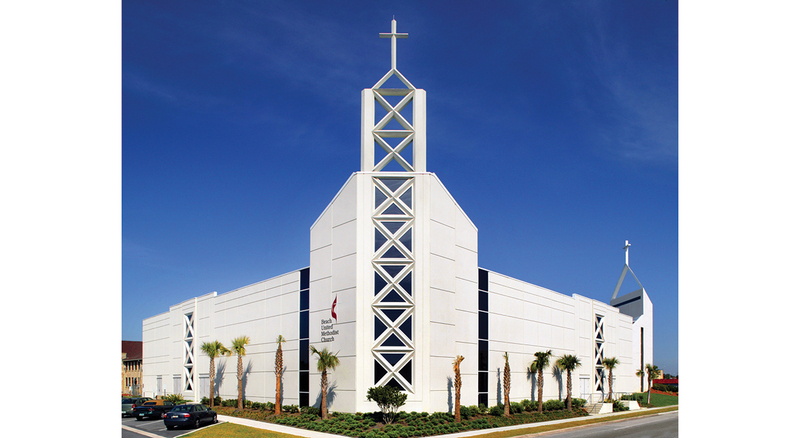 KBJ is designing a family life center for Beaches United Methodist Church, which complements the existing William Morgan, FAIA icon in Jacksonville Beach. KBJ’s design team has included a 1, 200 seat multi-purpose facility, a state-of-the-art performing arts and media sound system. The addition faces east on AIA and is one of the most dramatic pieces of architecture in Jacksonville Beach. The new addition is designed to be an inspiring announcement, day and night, of what the United methodist Church offers to its growing community. The 27, 325 square foot addition is planned to be completed in 2005.